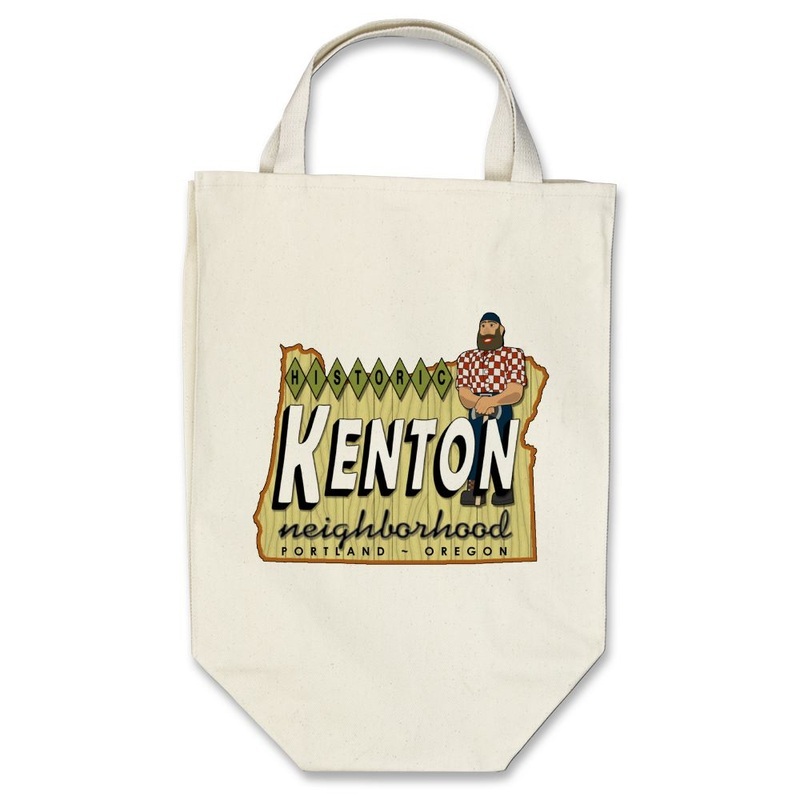 Upon moving into the Kenton Neighborhood, I found a great source of inspiration in the many historical elements found throughout the community. 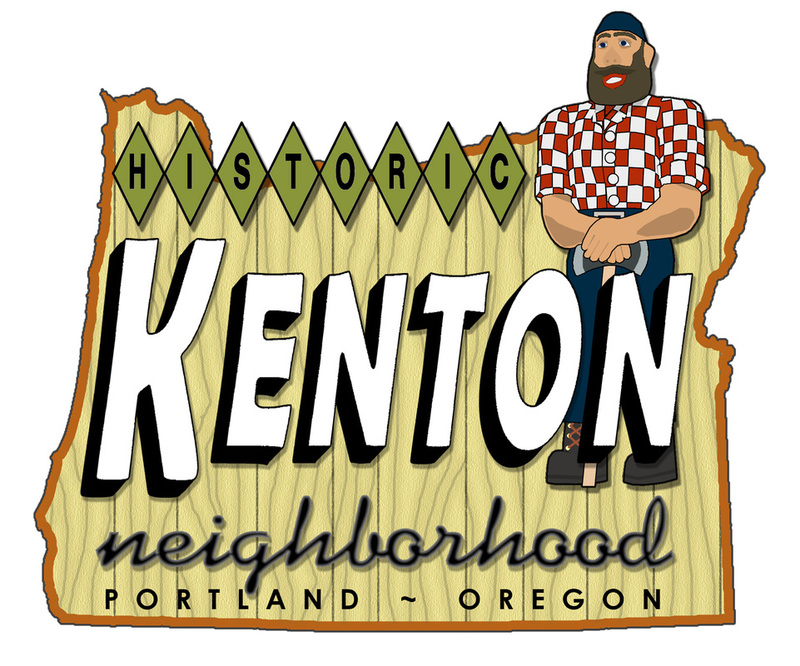 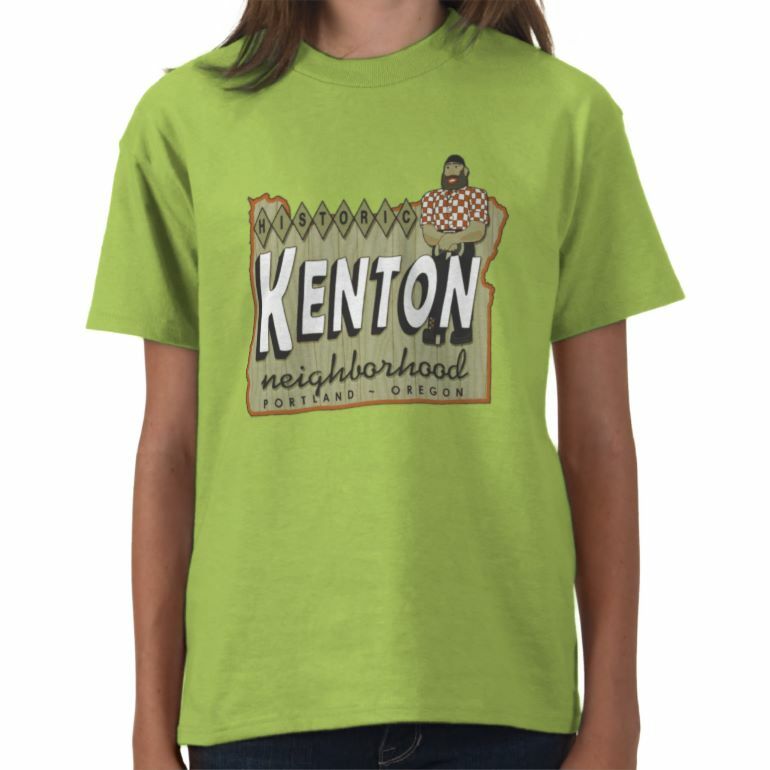 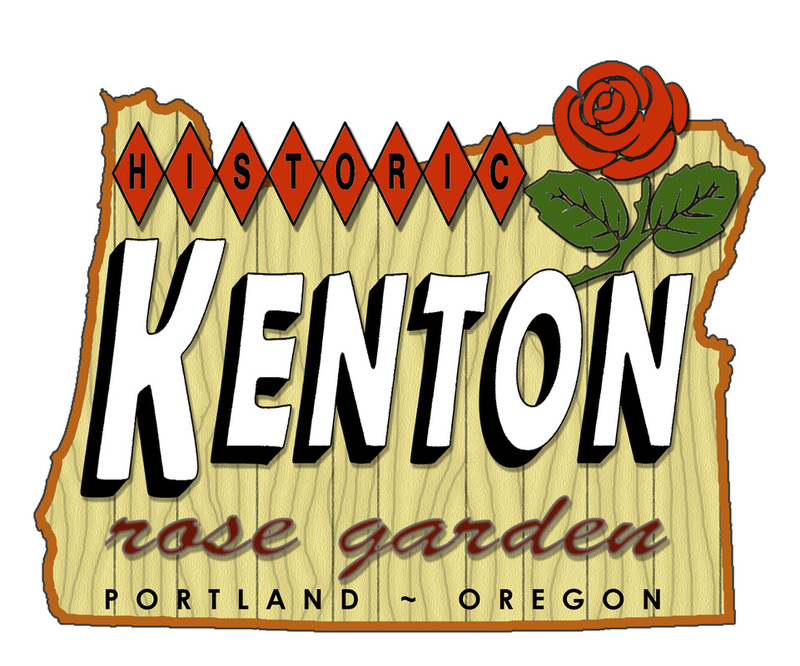 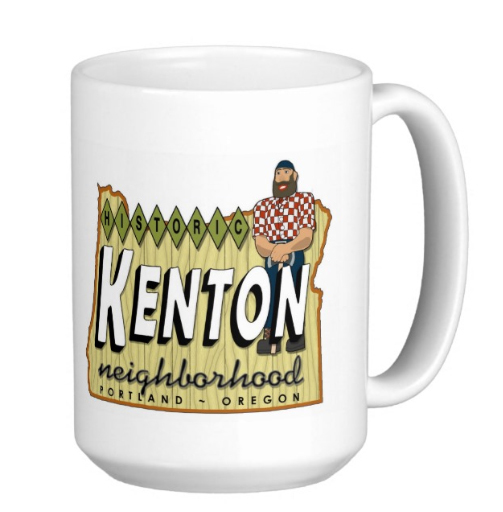 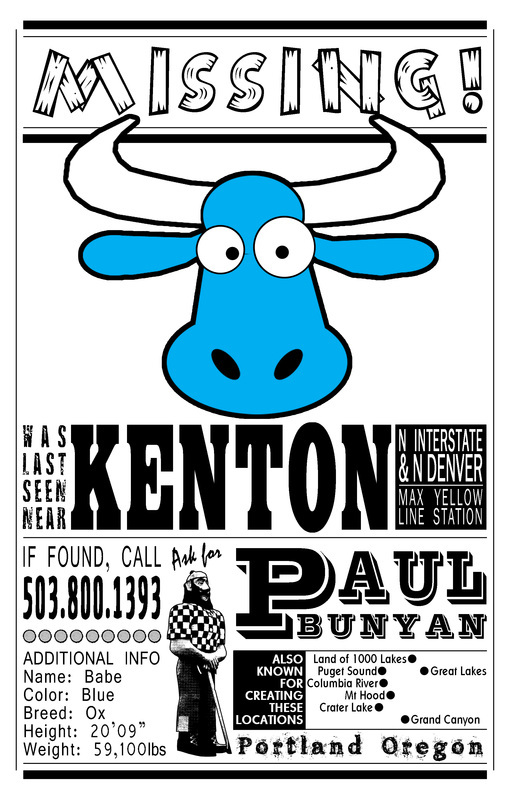 An original and locally designed logo for the North Portland, Oregon neighborhood of Kenton, home to the giant Paul Bunyan who originally welcomed visitors to Oregon during the State's Centennial Celebration in 1959 (and now on the National Register of Historic Places), is still available on high quality Hanes tshirts in adult and youth sizes for only $15. 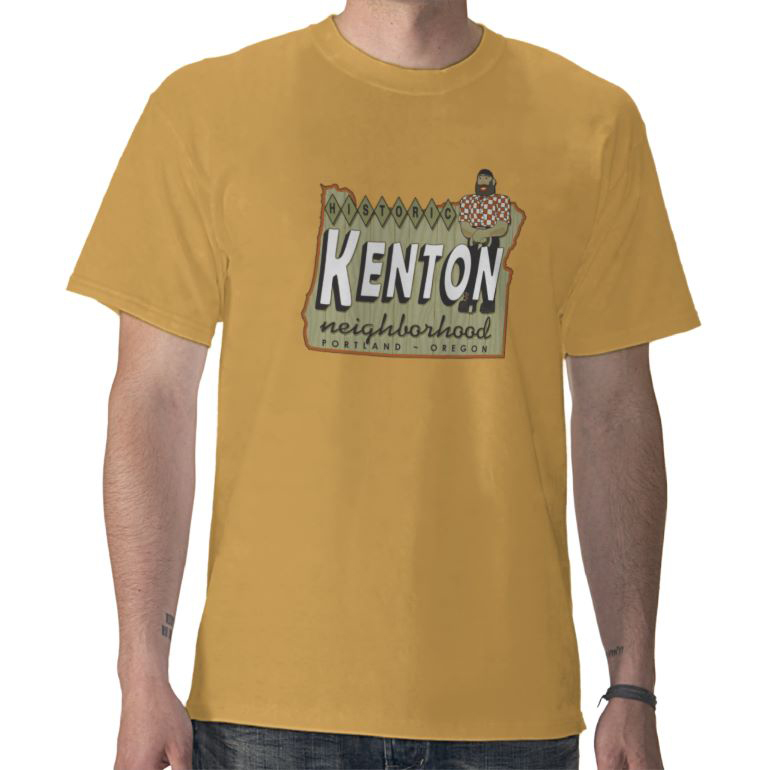 email simbaspot@gmail.com in order to purchase at this discount. 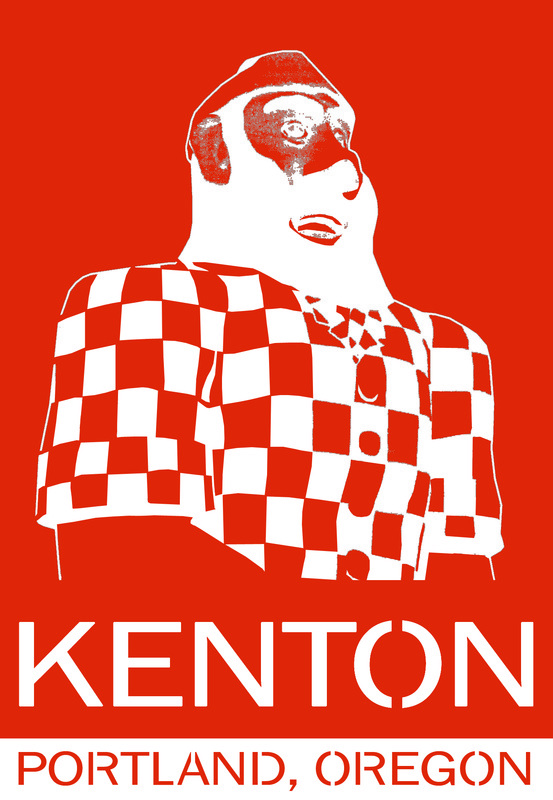 For nearly three years, I volunteered as a Kenton Neighborhood Association (KNA) Board Member (and later Vice-Chairperson), focusing on Communications, Promotion and Identity. 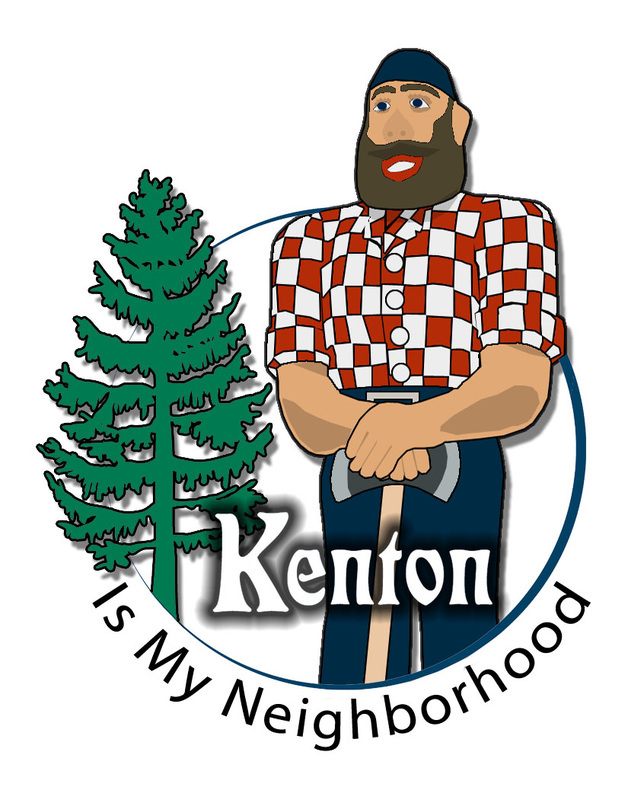 Required to continue using the established neighborhood logo of a circle & tree, I re-envisioned ways to incorporate it into new images, such as in the creation of the Kenton 100 year anniversary logo below. 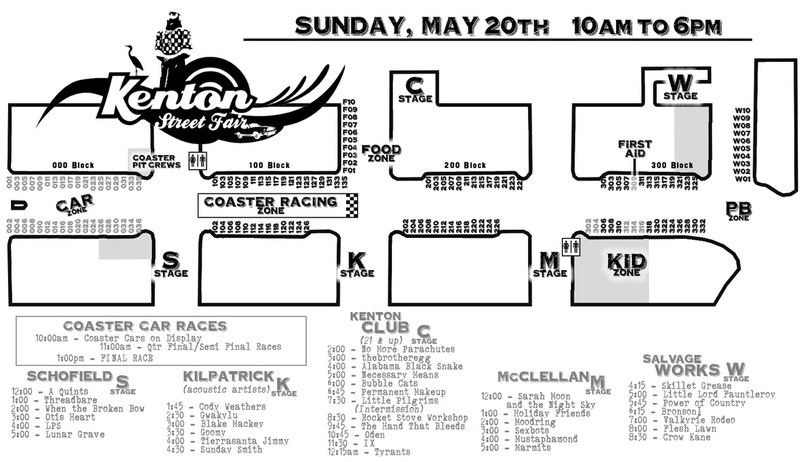 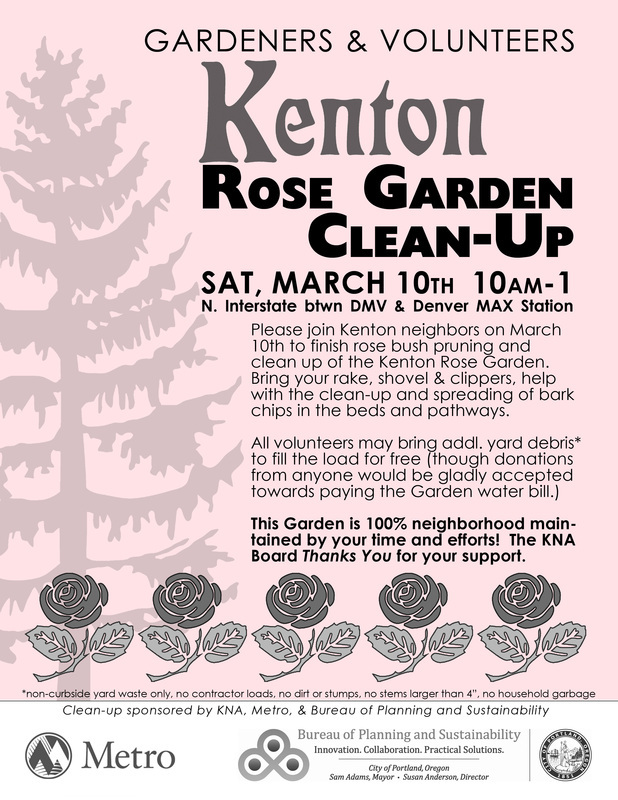 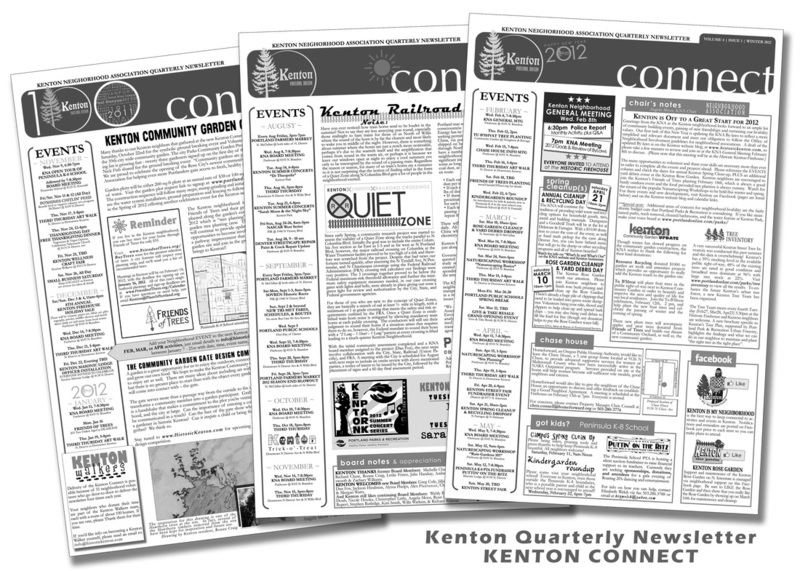 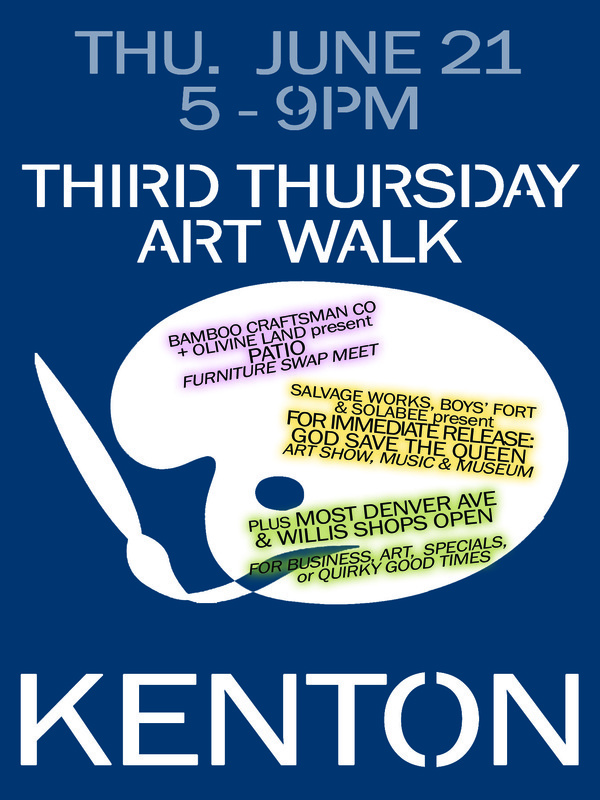 The Quarterly Newsletter, the Kenton Connect, was a two-sided, tablet size neighborhood announcement tool that I assembled for a couple years. 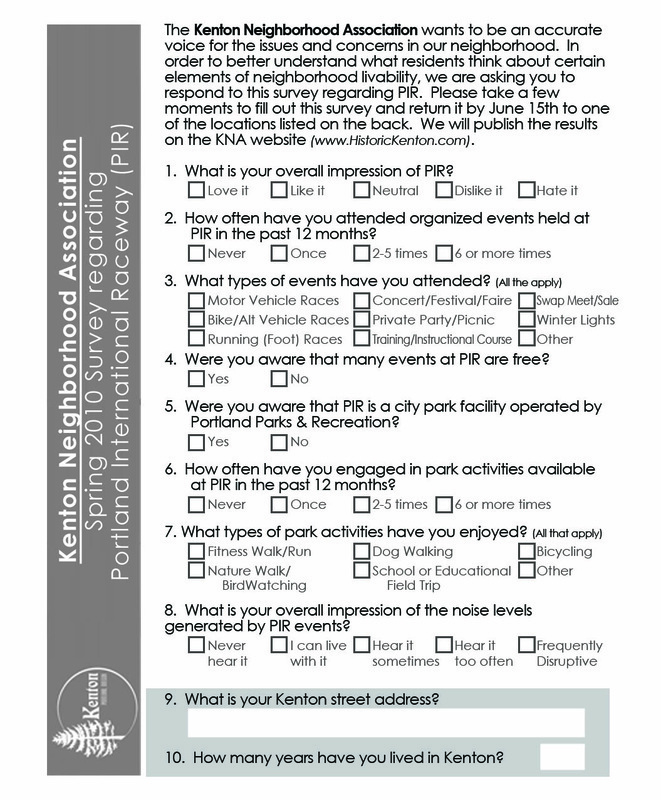 Originally launched to be sure all residents were informed of the neighborhood's general meetings, and delivered door-to-door by additional volunteers (the Kenton Walkers), I made sure the newsletter maximized the opportunity to spread any notable neighborhood news by adding additional articles and maintaining a clean, clear, uniform, and consistent layout.